Just How Much Almond Is in Almond Milk? For years now, many milk producers have claimed that non-dairy products like almond milk shouldn’t be allowed to call themselves “milk” because they don’t come from animals. Now, a new series of class-action lawsuits is questioning whether almond milk should even be able to call itself “almond” because, say the plaintiffs, it barely comes from almonds. Earlier this month, a false advertising lawsuit was brought against Blue Diamond’s Almond Breeze claiming that, despite the product being portrayed as being made from almonds, it contains only two percent of the aforementioned nut, with the rest being a mix of water, thickeners and other flavoring. Now, this week, word has come that a New York judge has lumped that lawsuit with a nearly identical one from the same plaintiffs, this time against WhiteWave Foods, makers of Silk Almondmilk, into a single class-action suit. Once again, the allegations against WhiteWave contend that Silk’s take on almond milk also contains just two percent almonds. At the heart of this debate is one big question: What percentage of almonds would a reasonable consumer believe to be in almond milk? It’s unlikely consumers think almond milk is coming from squeezing the juice out of almonds, but is a mere two percent enough? 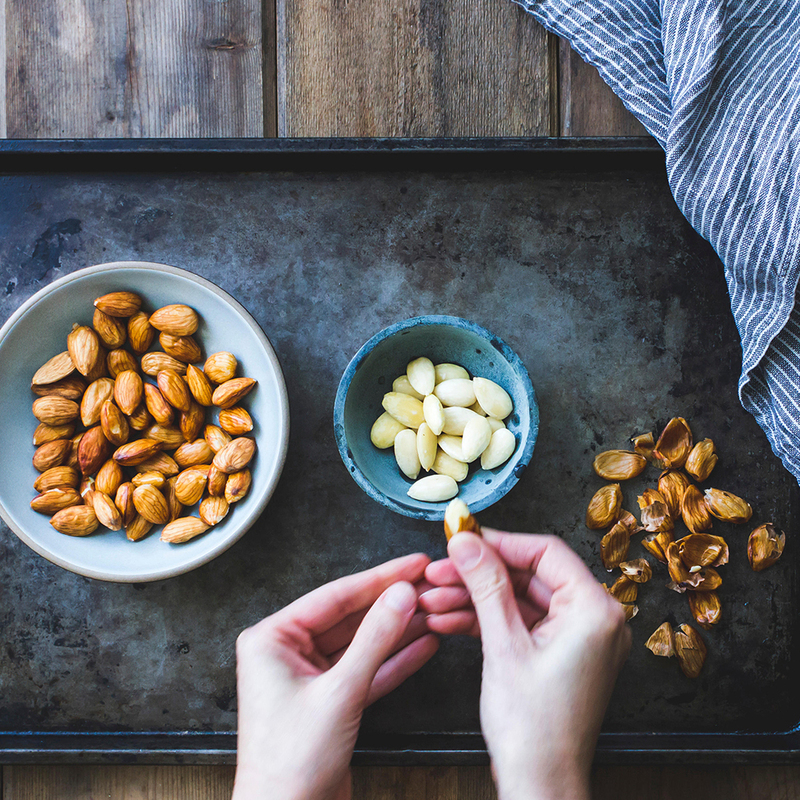 For reference, when FWx talked with Carly de Castro, the owner of Pressed Juicery and avid nut milk maker and drinker, she told us she makes her almond milk using one cup of almonds for every two cups of water. Suspiciously, it seems that large almond milk producers don’t want people to know just how much almond is in their product. Business Insider looked into the almond milk controversy back in April, writing, “Multiple almond growers and processors contacted by Business Insider declined to provide specifics on the ratio of almonds to other ingredients in their almond milk, outside of saying the recipe is fairly standardized ‘across the board.’” If that’s true, it illuminates two key points. First, pretty much all almond milks are only two percent almond. Second, almond milk producers would prefer if we, the consumer, didn’t know that. That second point has to leave you wondering, what are almond milk producers trying to hide? That alone, might be the smoking gun.